Do You Know Who You're Really Supposed to Be Marketing To? You are here: Home / Copywriting / Do You Know Who You’re Really Supposed to Be Marketing To? It seems like half of networker marketers don’t have a clue who their real target market is, and the other 45% who does know isn’t utilizing it effectively. You bet that’s a bold statement! Do you really know who you’re supposed to be marketing to? 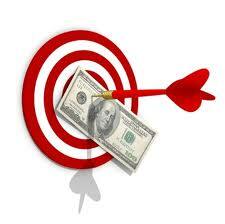 If you target the wrong group of people your network marketing business will quickly fail. -Because you will target the wrong group of people with paid advertising, and therefore, lose your money. -Because you will target the wrong group of people with your blog and capture pages. Therefore, you won’t be seen as a credible resource or authority. You’ll literally miss the mark. It doesn’t matter what you sell or market, you should be looking for people who have already put out money to buy something similar to what you’re offering. Does this seem silly, or dumb? From my perspective, it’s not. When I look at the top producers in this industry, one of the factors that has skyrocketed their business success is that they all have targeted people who have already purchased something similar to what they were offering. Let’s start with the target market for your products. Remember that it doesn’t matter what you sell or market. You should be looking for people who have already forked over money to buy something similar to what you’re offering. If you’re selling a nutritional product, who are the people already buying supplements looking for something new?Where are they searching, and why? If you’re selling a weight loss product one group of people you might consider targeting is people who purchase Slim-Fast, or Medifast. They’ve already proven their need/desire to attempt weight loss. Spending money is the proof. Let’s discuss your business opportunities market. For many network marketers, you’ve been told to cold call generic opportunity seeker leads. Where do you think those generic opportunity seeker leads come from? A “generic opportunity seeker lead” -simply put- means that lead might not even know what network marketing is. Mainly they have filled out a form saying they want more information about generating income from home. You have affiliate links that you blindly blast all over the place online – thinking/hoping someone will step forth with interest. No one ever does. It’s because blindly blasting your links online will not bring people into your business. Some of you have done these things. Others haven’t because it doesn’t feel right. Visualize your target market like this. If you intend to feed a city of hungry children, how would you choose to feed them if you had these two options? Pack food into large wooden crates and jump into a helicopter. Fly over the zip code of the area of hungry children you intend to feed and drop the crates down the city. Build a small, medium or large group of like-minded people that work together to divide and conquer by going door to door delivering food in grocery store paper sacks. Which one is more targeted? How are you going to call one of these opportunity seeker leads (or blindly blast your link) to pitch them on your network marketing business/company when they either don’t have the slightest clue what you’re talking about or have absolutely no interest? Are you going to convince them? Of course you aren’t because then you’d be “that guy,” and everyone knows “that guy” doesn’t succeed in network marketing. Well, if you studied Ann Sieg’s The Renegade Network Marketer you’d know that your real target market is other network marketers. The reason being is that you’re looking for people who have already made an investment similar to yours. They are already sold on the idea and the business model of network marketing. They have shown their commitment to success by buying courses to get educated. You’re looking for network marketers/direct sellers that are searching for ways to improve their businesses. Now that you know who your target market is for your network marketing products and network marketing business, you’ll want to know that your target market isn’t looking for your network marketing business opportunity. They probably have one. There is no need to go around advertising your business. Same goes for your network marketing products. Ads promoting just your product won’t work for the most part. If it was that easy, your network marketing company wouldn’t need you. People are searching for solutions. If I was looking to lose weight, I would search for the answer or the solution to my weight problems. I wouldn’t know that I would eventually buy a bottle of pills or something else. Your goal is to solve other peoples’ problems with your solutions. That’s your target market. BTW: blogs are great for achieving this. If this makes sense to you, and you are consistent with applying it, you WILL sponsor plenty of people and sell more product than what you thought possible. Once you embrace this you will have people tracking you down in true textbook attraction marketing style. Now let’s think about what other network marketers are searching for. What are their problems? What solutions are they trying to find? In a broad scope, network marketers are looking for extremely useful information and/or tools that will teach them and help them apply that information or tool to build their network marketing business successfully. The same goes for your network marketing company product(s). People don’t care about that stuff. They want solutions – plain and simple. Provide them with information that has the solution, and you’ll have a customer for life. If you’re wondering When does IT happen? When will I reach that big turning point? When will it finally click? Well there is only one course that comes to mind. This course will truly make the difference. Not only will it teach you how to create endless leads, but it will also show you how to attract hundreds of new customers and distributors to you forever. That’s a promise. Plus it comes with a free lead generating system to start using immediately. Click here now to learn more about The Renegade Network Marketer. I really like this post, Eric. One the greatest mistakes or errors that we Network Marketers tend to make is to focus on “selling” our network marketing opportunity, rather than “marketing” to the right people group. This article totally hit the nail on the head, as to how to determine who the right people group is. It is so true that people who have already bought a product, are much more apt to by that product, or a similar product in the future. As opposed to the person who has never heard of such a thing, and needs to be convinced. I am definitely sharing it with others! Sorry for the late reply. I’m just seeing this comment. But yes, it’s true – people who have already bought a product, are much more apt to by that product, or a similar product in the future. Do you remember when you first came online and bought your first product? I’d love to hear about that. is a small group I have been with for a while. Attending these groups is a nice get together, but I don’t think I am getting any where. I have given my presentations, passed out business cards and out of all only 2 refferals. This site is a where as our whle team can use it. We each have indivisual code numbers. Mine is 9492388. The site is set up so you need to enter your name & email to go to the next page. We also have a link for just products. One thing I am doing now, is when someone wants to purchase directly from me I asking for payment up front. I don’t stock items. I like this page, it has given me a new outlook on making it work. PS Any sugestions, will be appriciated. This is why so many network marketers go from one company/product to the next. They are looking for someone who can help them to market their business. What so many network marketers don’t realize – all they need is a marketing system and mentors/coaches to show them HOW to market their own business and to brand themselves. Having a system and the mentors and coaches who know how to help, is more important than the products or the opportunity itself.